The accident, recovery, and chance encounter that turned this UConn Basketball walk-on into a Team USA Paralympic Curler. On a whim, Emt, a lifelong New Englander then in his early 40s, had decided to make his first trip to Cape Cod. When he got there and found a hotel, he asked the proprietor to suggest a few must-dos, which included cinnamon rolls from Pie in the Sky bakery. “She didn’t tell me I’d have to park my truck and roll up a steep hill to get to it,” says Emt. 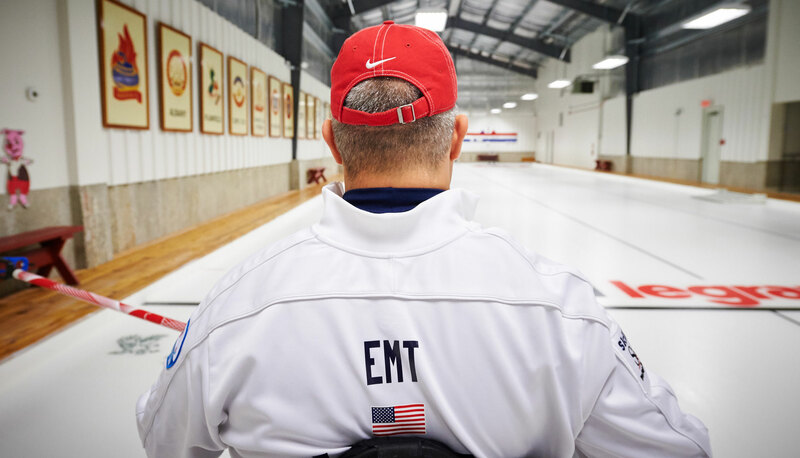 But Emt started pushing his wheelchair up the hill and had made it about halfway when Tony Colacchio, a curling coach from a nearby club, caught a glimpse of him from the road below. Colacchio couldn’t stop his car right there, but turned around the first chance he got, and ended up spending 45 minutes searching for Emt, whom he found sitting under a tree still enjoying his breakfast. 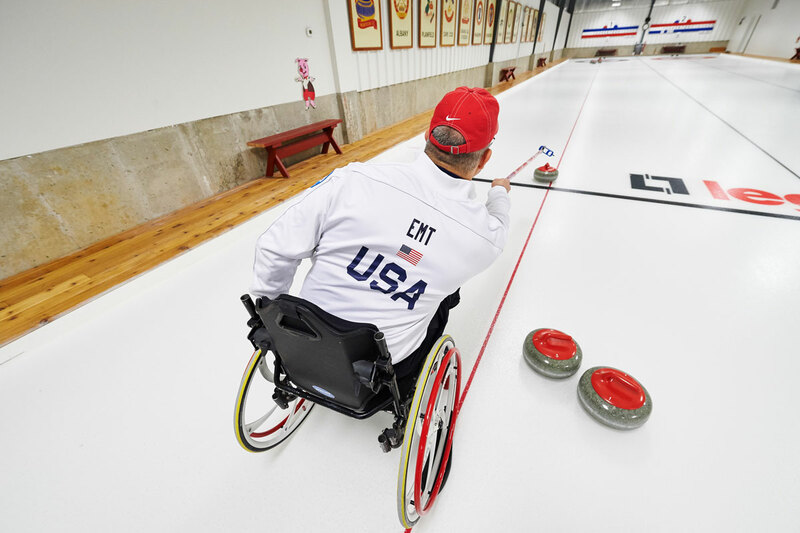 “So now he’s my coach on the Cape, and I go every weekend,” says Emt, who recently returned from his second World Wheelchair Championship and two years ago was named to Team USA, with whom he is indeed training for the 2018 Paralympics. Emt grew up in Hebron, where he was a three-sport star athlete, arguably the best basketball player the high school has seen — he averaged 27 points a game. 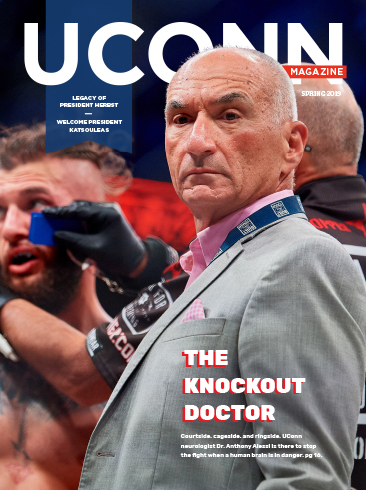 When he came to UConn in the early ’90s, he joined an intramural basketball team, which is where assistant men’s coach Glen Miller saw him play and told Coach Jim Calhoun, who asked Emt to try out for his team as a walk-on. That was the team that included Ray Allen and Kevin Ollie. “I think [Calhoun] knew I would practice hard even if I never played. He could tell I’d get up when I got knocked down,” says Emt. Emt had been at a bar with friends watching a UConn game and drinking. On the way home he thinks he must have passed out or fallen asleep at the wheel. His truck ended up in a ditch and he in a life flight helicopter. 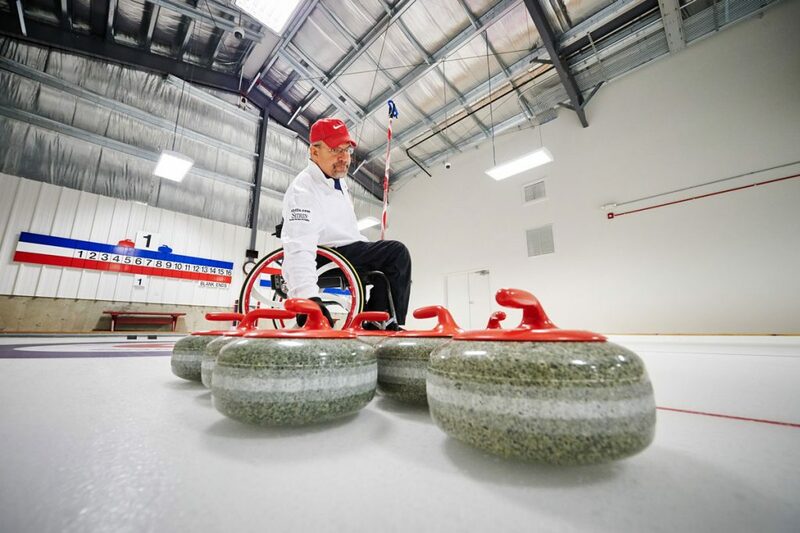 But, after 20 years, he had to give up coaching basketball at Hebron in order to pursue a Paralympic medal in curling. That day on the Cape when Tony and his wife Mary tried to explain curling to Emt, he just couldn’t understand it. He drove home and Googled it and was intrigued enough to drive back to the Cape the next weekend to watch a tourney. “The Canadian team was shy a player, so I threw a couple stones at midnight, then the next morning at 8 a.m. I’m playing in my first game. 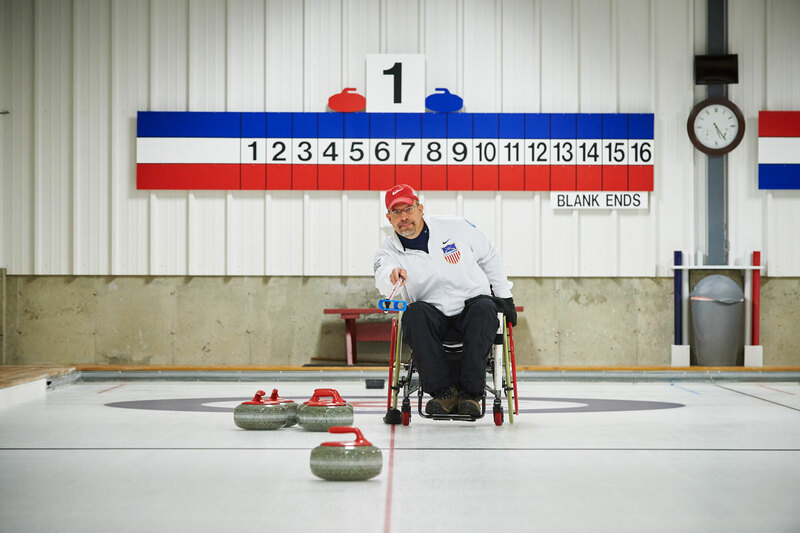 It was against Russia, the defending champs from the prior year’s Paralympics. So it’s my first time on the ice in a wheelchair and I’m curling. “The second I threw the first stone, it clicked, I was bitten, I couldn’t get enough of it. One of the reasons he’s hooked is that it’s a sport you can never completely win at, says Emt. “You can never get a perfect score in this game because it constantly changes as the ice is melting. Every throw is different. If I put one here, they’ll put one there, and then mine will go at this angle. 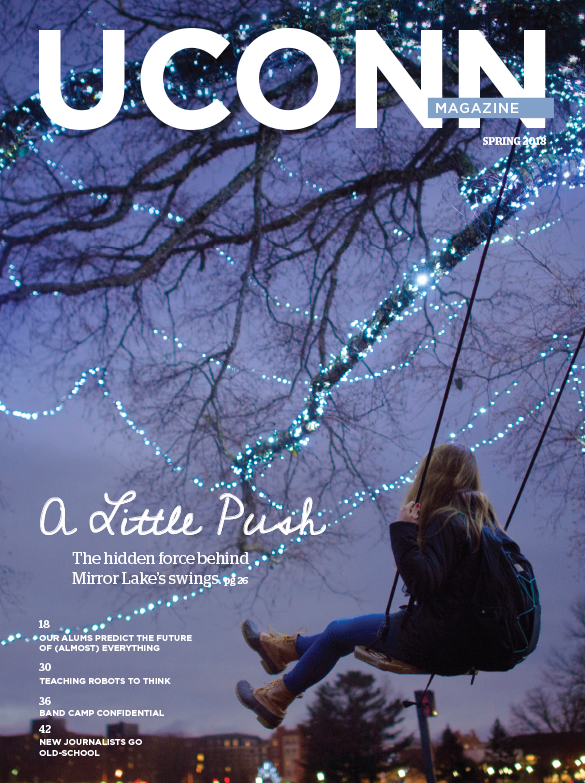 It’s concentric circles, and then you line things up. It’s geometry and chemistry. The person or team who figures out the ice quickest wins. His next big one: the 2018 Paralympics in South Korea.